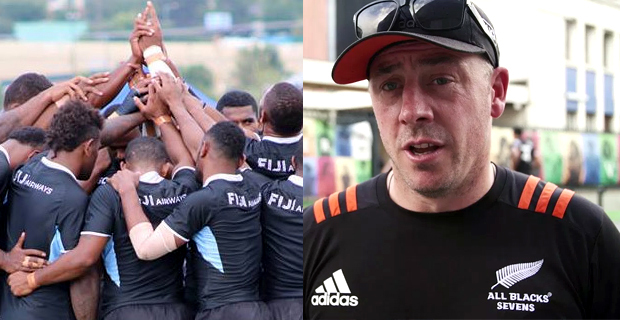 Fiji Airways Men’s National 7s team and the New Zealand 7s team have had different preparations for the Rugby World Cup 7s with All Blacks Sevens coach Clark Laidlaw admitting time will tell whether his team’s approach was correct. Laidlaw told OneNews it was important to find the balance while preparing for this weekend’s Rugby World Cup Sevens rather than try to replicate an overseas camp like an extended Fiji squad had held in Utah. Laidlaw says he supposes they will tell on Sunday night whether they are happy with what they have done but with such a big year and time away from home, they felt it was important to get the balance right between training and time at home with family and friends. The other factor in Laidlaw’s decision not to hold any “flash camps” was the new centralised sevens program in Tauranga. Laidlaw adds they are centralised now so they train together every day so they did not feel they needed to go to any flash camps. Fiji coach Gareth Baber , hopes two weeks training at altitude would give Fiji a physical edge in the knockout tournament at sea level in San Francisco. Baber said that Fiji had a good training environment, there was little distraction around them, they had the training ground, they have a training gym, swimming pools, recovery centres ‑ all the things that makes it easy. Fiji will play their first knockout game against the winner of the Japan and Uruguay match at 3.53pm this Saturday. Barring any upsets, they will either meet Argentina or Canada in the Cup quarterfinals. The Cup quarters start at 10.32am Sunday. Fiji will either meet Australia or New Zealand in the Cup semifinals. The Cup semis start at 7.40am Monday and Fiji will either meet South Africa, England or USA in the Final at 12.49pm Monday.